There were enough sparks from the stage to dispel the slight chill in the air Friday night as the BSO performed at Tanglewood under the baton of Leonard Slatkin, who was celebrating his 70th birthday. As Gil Shaham returned to Tanglewood and the BSO offered a world premiere of a new work by William Bolcom, one word returned to the mind to describe the refreshingly varied program: precision. Now, precision can be a force for either good or ill, depending on how and when it is wielded. For the most part, it was employed masterfully, but occasionally one was left actually seeking less perfection and more risk, less polish and more pizzazz. The concert opened with the world premiere performance of Bolcom’s Circus Overture. Subtitled “into the eighth decade”, it is a heartfelt tribute to conductor Leonard Slatkin – composer and conductor are lifelong friends. By masterfully inventive use of extremely limited musical material, Bolcom produced an overture both tight and muscular, witty and sophisticated. The boisterous syncopations of the opening brass fanfare gave way quickly to sprightly moving lines, almost vocal in their quality, seemingly as a consequence of Bolcom’s long experience with music for the voice. The 70-year-old Slatkin conducted his friend’s music with youth and vigor and after the rollicking piece came to an end too soon (an asset rather than a liability for an appetite-whetting concert opener) composer joined conductor on stage for a warm embrace and a dual bow. The Winter’s Past, a palate-pleasing idyll for oboe and strings by Wayne Barlow followed. Principal oboe John Ferrillo came to the front of the stage as a batonless Slatkin led the BSO strings in this charming little modal gem. Possibly the most well-known work of Barlow, a Rochester composer who was associated with Howard Hanson, the work was both the perfect amuse-bouche between the overture and concerto, and a appropriate tribute to one of the orchestra’s top reedmen. Ferrillo has played principal oboe in the orchestra since 2001, when he moved on from a quarter-century tenure as principal for the Metropolitan Opera. What followed for many was the main event: Gil Shaham performing Barber’s fiendishly difficult Violin Concerto. The first movement is typically a Barberesque, combining and intertwining small cells of tonal musical material into textural combinations whose beauty often belies its harmonic complexity. 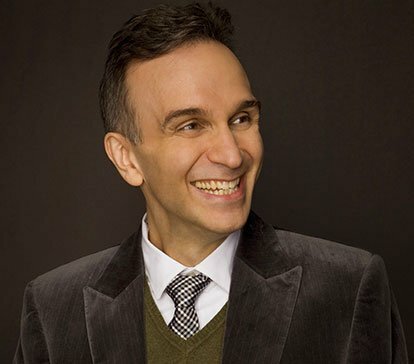 Through all the twists and turns of melodic gesture, Shaham’s good nature and good humor showed through. The solo violin’s first entrance in the lyrical second movement was so delicately understated it seems to be muted, until it quickly developed into an impassioned forte. As beautiful as the first two movements are, they are more evidence of compositional skill and structure rather than virtuosic concerto writing. When one performs the Barber, everyone waits for the finale. To say that Shaham’s violin jumped out of the starting gate like a thoroughbred racehorse does not give adequate justice to the reality of the musical environment; indeed it was more like a science-fiction starship jumping to light speed. Shaham’s execution of the intricate and treacherous opening figure was flawless. This was one of the moments when precision showed its highest value. Even at the breakneck speed of this effervescent jig, orchestra textures were clear, and no part was treated as background. Shaham’s tremendous talent allowed him to be relaxed and in control throughout this monumentally challenging finale. As he led the orchestra with completely natural expression, one could also tell that this concerto swam in Slatkin’s veins. Soloist and conductor even managed a few eye-conversations during the furious finale. As it was scampering along, Slatkin seemed to ask, ‘perhaps a bit faster?’ to which Shaham graciously but definitively answered back ‘um, no.’ The final bars of the concerto, when the already overwhelming celerity of the musical material seems to spin nearly out of control in a further accelerando, was met with an immediate standing ovation, practically before the last note even sounded. To riotous applause, Shaham graciously returned to the stage and played the Rondo from Bach’s third partita, complete with tasteful and intelligent embellishment, as an encore. Elgar’s Enigma Variations was the closer. In the opening statement of the theme, Slatkin occasionally pushed and pulled the tempo creating beautiful vocal lines, which continued into the first variation dedicated to the composer’s wife. He encouraged a warm and round, almost Germanic sound from the brass, which was a welcome alternative to the arguably more authentic but more cold and brittle sound of traditional British brass. In the amazing Allegro of the second variation, again the word came to mind: precise. At about this point in the concert though, precision started to wear thin, and a few of the middle variations suffered from a somewhat stifled perfection. Like a beautiful work of art rendered untouchable under a glass bell jar, many of the touching moments in the intimate Nimrod remained cold and distant. Slatkin’s ear, hands, and eyes were alerted through all of it though, subtly crafting miniature suspensions and other expressive details in the musical text, just not often not enough to achieve something transcendent. The 10th variation was duly playful and elegant, but it was in the 11th, dedicated to a friend’s bulldog, that sprung new life into the orchestra. From the rich low strings in variation 12 to the sparkling clarity of texture in the 13th, everything led inexorably to the grand finale executed with poise and strength which included the optional organ. Though it may sound horribly nitpicky, this reviewer has long believed that the Enigma Variations can either be made or unmade by the quality of the last note. Somewhat enigmatically notated in the score, the final chord in which the brass join the rest of the orchestra can be performed in many different ways: only one or two can work. Fortunately, Slatkin found the right balance of strength and poise to allow this final musical moment to be not so much an exclamation point, but the grand “I am” declaration that Elgar had intended. The concert was throughout a triumph of musical execution and often expression. 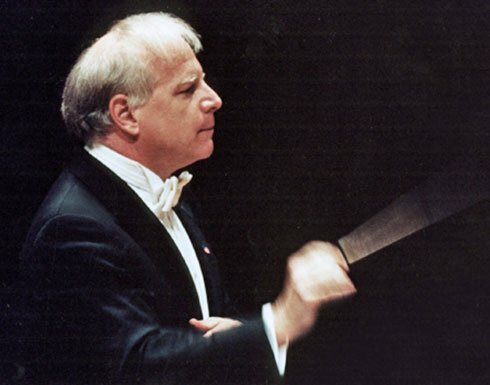 Slatkin’s engagement revealed that 70 could be the new 50 if music flows strongly in your veins.